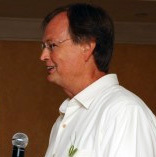 Mark Lindstrom is Make Your Mark’s founder, thought leader and head coach. After a very rewarding and successful 32 year career Mark is enjoying the opportunity to help others to discover meaning and purpose in their personal and professional lives. Mark’s goal is to combine his passion and reputation for developing talented leaders with his business acumen to help others to be better and do better. Mark discovered his interest and passion for this new calling during his time at Starbucks Coffee where he had the opportunity to personally coach and mentor many outstanding leaders. Mark was born and raised in the Chicago area and earned his B.S. in Marketing from N.I.U. and an MBA from the University of Wisconsin. Upon graduation Mark joined Unocal 76 and spent 21 years with the company and served in numerous line and staff roles. After a short one year stay at Fleetwood Enterprises Mark was recruited to Starbucks Coffee where he worked for ten years. In his last full-time position Mark was the Division VP for the largest operating unit in the company. Mark completed the extensive coaching certification program at the Hudson Institute in Santa Barbara, CA in 2008. He served in the capacity of SVP of Executive Coaching at Starbucks, the first position of its kind at Starbucks, before launching Make Your Mark executive coaching and consulting.